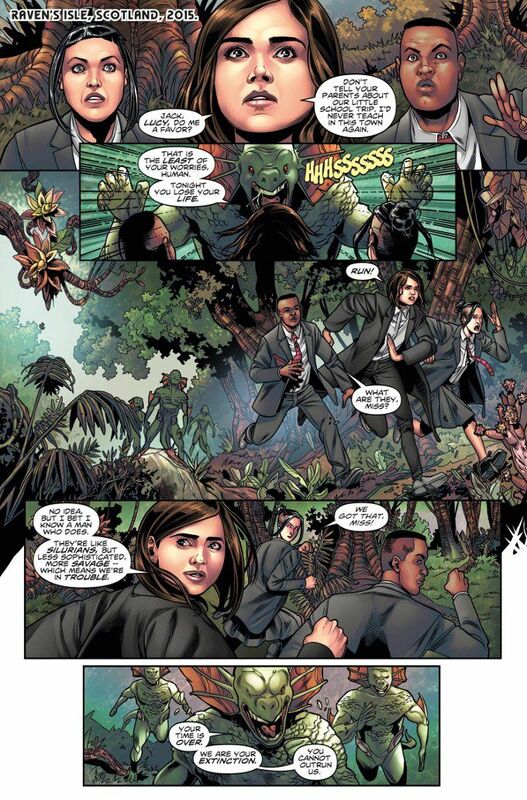 Robbie Morrison's tale - Clara Oswald And The School of Death - proves a perfect combination of the mythology of the classic Doctor Who series and the spirit of the new. Morrison effortlessly explains the history of The Sea Devils for those readers unfamiliar with the baddies from the original series. Rachael Stott offers an astonishing splash page for this sequence, which gives a visual shout-out to Jon Pertwee's Third Doctor. The rest of the issue's artwork is equally impressive, with the color art by Ivan Nunes offering a vibrant variety of colors throughout.